January | 2018 | Nicholas Hoffman & Co.
Changes to the tax regime have become a popular subject of conversation with the passage of the Tax Cuts and Jobs Act in late 2017. Investors have been eager to learn how changes might benefit various asset types. The centerpiece of these changes is a lower corporate tax rate, which should give some boost to corporate earnings. Another investment-related change enables US corporations to bring home cash parked overseas at a reduced rate. Individual taxpayers should generally have more disposable income, giving potential to lift consumption and thus the economy. With 70% of US GDP driven by consumption, reduced tax rates from 2018 to 2025 for working Americans will likely fuel faster growth, although the economists cannot agree by how much. Beyond these heavily-discussed headline changes, there are many lower profile changes that could have a significant impact on the behavior of individuals and corporations. For example, a recent WSJ article observed that allowing corporations to immediately deduct new equipment purchases in full is anticipated to accelerate the use of robotics in manufacturing. The change that will directly affect the most people is the increase in standard deductions for individuals. For a married couple filing jointly, the standard deduction nearly doubles to $24,000 in 2018. Higher standard deductions erode the advantage of itemizing, reducing the number of taxpayers who benefit. Some may even batch deductions together in particular years and itemize less often. While mortgage interest remains deductible, it is capped for new homebuyers. Property taxes remain deductible, but only up to a new $10,000 limit, toward which state and local income tax also counts. Higher earners, or those living in areas with high taxes or property values, will face an increase in the cost of homeownership. These changes will tend to make the relative cost of renting more attractive, which is of potential benefit to the owners of apartment properties. This could be most pronounced in higher tax states, and among higher end apartment properties. Charities who rely on the middle class for contributions have reason to be worried. The tax benefit of charitable contributions will be diminished or erased for those who no longer itemize their deductions. As an alternative to traditional methods (i.e. “writing a check”), other more sophisticated charitable giving techniques may gain popularity. For example, with appropriate guidance from a tax advisor, those required to take taxable IRA distributions may see advantages in directing their annual required distributions IRA to a qualified charity. If handled properly, this could enable the taxpayer to take both the new, higher standard deduction and avoid recognizing income that would otherwise be taxed. Given the complexities of recent tax changes, we can be fairly sure that few taxpayers (corporate or individual) are acting in full knowledge of the impact of the new law. Some will profit from being first to understand the benefits, and associated behaviors, prompted by the revised rules. For most people, though, it will take some time for the dense fog of uncertainty generated by the tax changes to clear. 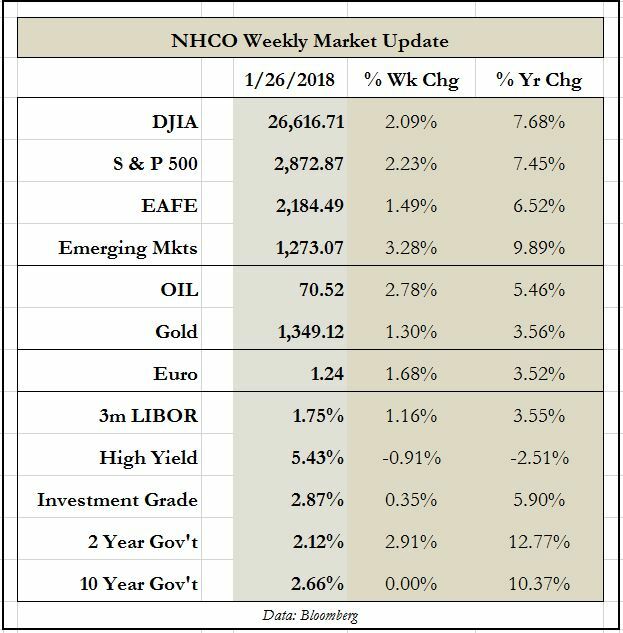 This entry was posted in The Weekly on January 29, 2018 by nhoffmanandco.